These rooms are designed to give you the perfect tranquil atmosphere, just right for unwinding and resting. The Hotel ELE Acueducto’s rooms are equipped with a wide range of comforts to enable you to relax in a cosy atmosphere during your holidays and business trips. 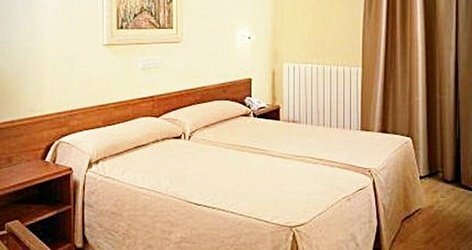 We have four room types that offer different board options according to your travel plans. 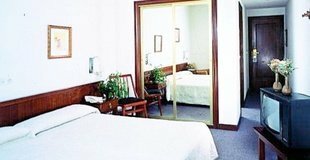 We guarantee that we are one of the best value for money hotels in the whole of Segovia. 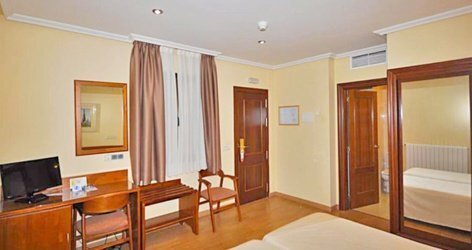 The Hotel ELE Acueducto’s standard triple rooms with their 23 m2 will provide you with all the space you need for your trips with family and friends. All bedrooms are equipped with three beds, refrigerator, television, air conditioning, desk, free Wi-Fi and a private bathroom with toiletries. 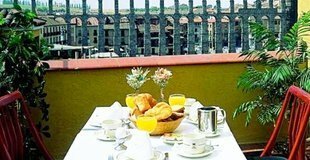 The Hotel ELE Acueducto’s superior double rooms with balcony are a spacious 19 m2 that invites you to unwind and fall in love with the beauty of the city from your own balcony. They have two beds, refrigerator, television, air conditioning, desk, free Wi-Fi and a private bathroom with toiletries. 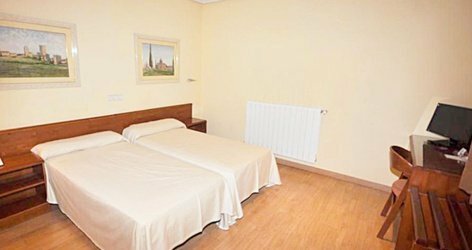 The Hotel ELE Acueducto’s double rooms will give you a very comfortable stay during your holidays and business trips in a 20 m2 sized room equipped with two beds, refrigerator, television, air conditioning, desk, free Wi-Fi and a private bathroom with toiletries. 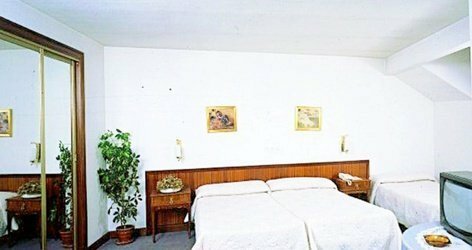 The Hotel ELE Acueducto’s standard single rooms offer you all the comfort you need during your business trips in their 18 m2. 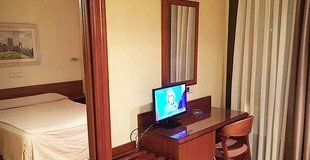 They have a single bed, refrigerator, television, air conditioning, desk, free Wi-Fi and a private bathroom with toiletries.